The American foundation Avery Dennison-United Way donated $5,000 to Serge Betsen Academy to carry out a project inCambodia. 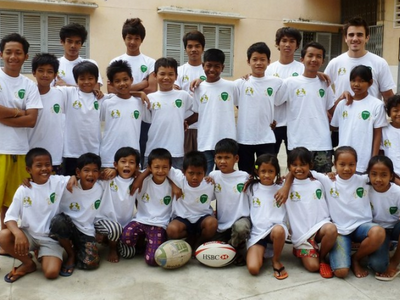 In order to meet with this request, SBA agreed a partnership with Kampuchea Ballop, a French charity which helps disadvantaged children of Cambodia through rugby values and practice. Through this partnership, A hundred children are benefitting from this programme, which means they are not exposed to the risks associated with being on the streets.